Use these passages to connect to common January events! 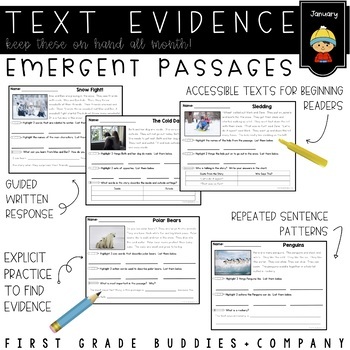 Our text evidence passages are perfect for emergent and early readers to start working on the skill of looking back in the text to find an answer or find evidence to help answer a question! They are also great for skilled primary readers to complete independently! 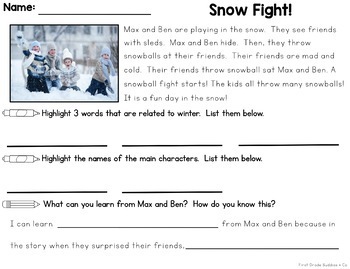 Kiddos will read the passage and follow tasks to highlight specific items in the text. 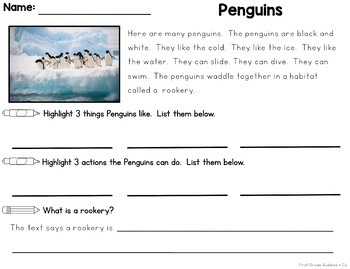 They will also complete a written response task. 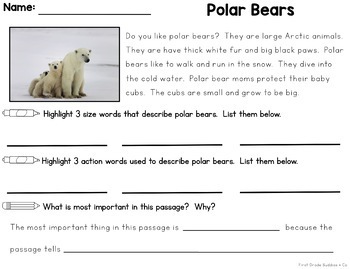 Based on the needs of your class, you may choose to use these passages in whole group, small group, or independently (if your kiddos are strong readers). Grab a FREE set of the Seasonal Passages here! Here is our Original Version if you want MORE passages! Have more fluent readers? Grab this version!